Chicago—The School of the Art Institute of Chicago (SAIC) and the University of Chicago jointly announced today their selection by the U.S. Department of State to serve as co-commissioners of the United States Pavilion at the 2018 Venice Architecture Biennale. As co-commissioners, the two institutions will organize Dimensions of Citizenship, the exhibition they proposed as the official United States contribution to the 16th International Architecture Exhibition, on view from May 26 through November 25, 2018. The curators of the exhibition are: Niall Atkinson, Associate Professor of Architectural History at the University of Chicago; Ann Lui, Assistant Professor at SAIC and co-founder of the architecture office Future Firm; and Mimi Zeiger, an independent critic, editor, curator, and educator based in Los Angeles. Particularly important in today's context, Dimensions of Citizenship will grapple with the meaning of citizenship as a cluster of rights and responsibilities at the intersection of legal, political, economic, and societal affiliations. Contemporary issues in the world today—from immigration to the impact of technology on individuals and nations—make it clear that now, and in the years to come, the stakes of citizenship are exceedingly high. SAIC and the University of Chicago will announce the exhibitors selected for the U.S. Pavilion soon. “The arts at the University of Chicago embrace a commitment to experimental scholarship with global impact and engagement with distinctive architecture. The Venice Biennale provides an opportunity to collaborate with the School of the Art Institute of Chicago on an exhibition that presents the American architectural imagination at its best, and dramatizes how that imagination connects to the urgent global question of citizenship,” said Robert J. Zimmer, president of the University of Chicago. The Bureau of Educational and Cultural Affairs of the U.S. Department of State supports and manages official U.S. participation at the Venice Architecture Biennale. The selection of the joint SAIC/University of Chicago proposal for Dimensions of Citizenship for the U.S. Pavilion in 2018 was made through an open competition and recommendations from the Federal Advisory Committee on International Exhibitions, convened by the National Endowment for the Arts. Niall Atkinson is Associate Professor of Architectural History in the Department of Art History at the University of Chicago. He is the author of The Noisy Renaissance: Sound, Architecture, and Florentine Urban Life, an excavation of the historical meaning of sound and construction of urban space in Renaissance Florence. His research focuses the experience of space and the reception of architecture in early modern Europe, which has led to several collaborative projects involving the digital reconstruction of the social life and spatial context of Florence in the 15th century. His articles have appeared in I Tatti Studies in the Italian Renaissance, Grey Room, and Senses & Society. His investigation of “Wandering in Rome in the Enlightenment,” co-written with Susanna Caviglia, is forthcoming in Word & Image. 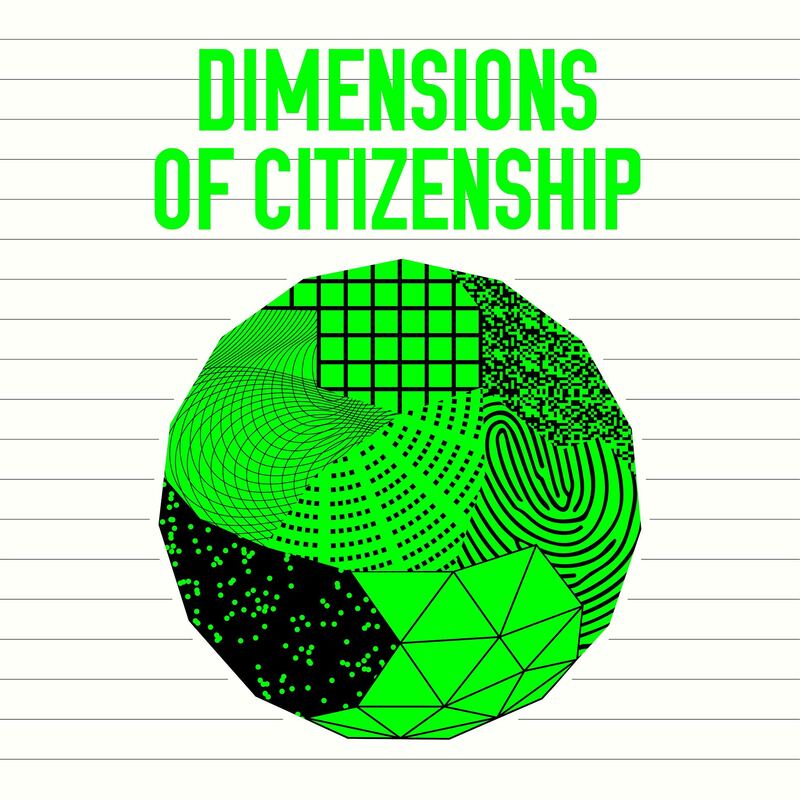 Dimensions of Citizenship graphic by Project Projects.